A challenge to your skills. Designed by Arnold Palmer, the Four Seasons Golf Club at Peninsula Papagayo is an 18-hole, par-72 championship course that golfers of all abilities will enjoy. 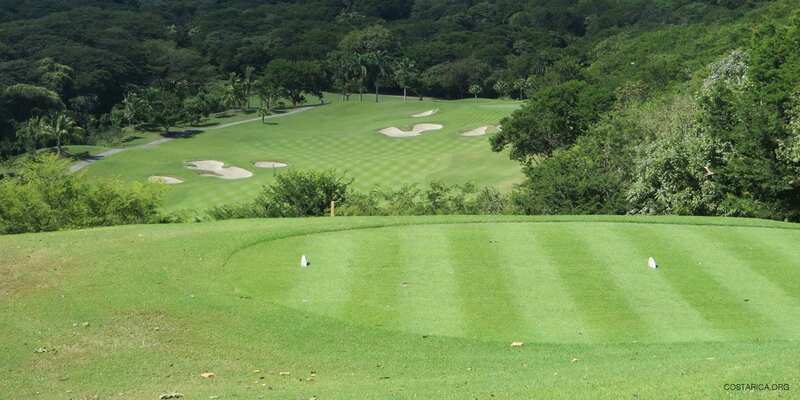 The course is situated on Costa Rica’s northwest Pacific coast which features breathtaking views of the Pacific Ocean. From the championship tees, low-handicappers will find the challenge of the course invigorating, while four other sets of tees allow average golfers and beginners to also enjoy the journey. From the opening tee shot on the 543 yard relatively short par-5 first hole to the 18th green fronted by a pond and bunkers you’ll find this course one, you’ll remember for years to come. My favorite hole is the par four third where you may find yourself “stopping to reflect” as the cliff top tee features a panoramic ocean view. This hole is truly risk and reward as you will need to navigate a tee shot over or around “Palmer’s” tree that guards the fairway. To add to your enjoyment, the course features a world class staff of golf professionals that offer impeccable service along with the instruction that is fun and easy to understand. So if you need a quick fix to improve your game stop by the pro shop to set up an appointment, I’m sure you’ll be glad you did. The area around four seasons golf course will leave you breathless. You will enjoy the number of beaches to choose from and how many things to do there are. Papagayo is a cool retreat because of how close it is to the Liberia Airport. only a 45 minute drive away. One of the best places you may like to visit is the Rincon de la Vieja Volcano.